Do you know a child who may benefit? Wee Jack Sporran does it again! Visit our upcoming events page for the most up-to-date information. Staff at Borders College have very kindly offered to run a fundraising Tea Party at the Campus on Monday 3rd June. 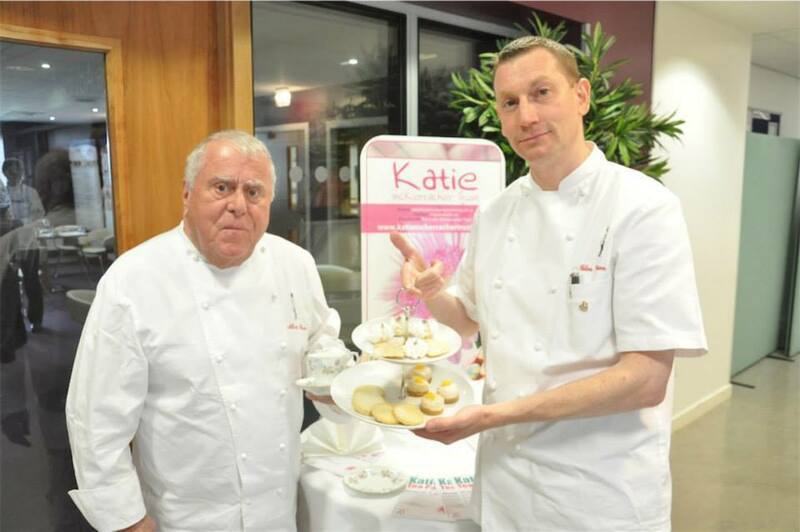 Restaurant Staff and Students were recently joined by Albert Roux as part of a competition to win a work placement at Gleneagles – and here he is, helping us promote Katie’s Tea Party. If you would like tickets then please follow the link – Buy Tickets. We were delighted to receive a cheque for £1,020 from the Caledonian Society of Sheffield. Ian McMaster was the President for the last year and decided that Katie’s Trust would be one of two charities to benefit from the proceeds of the St. Andrew’s Dinner and the Burns Supper. The total raised this year was the highest ever – many thanks to all the Scots & Yorkshire folks who delved deep into their pockets. Madeline from Scone decided to have a collection for Katie’s Trust at her 9th Birthday – the result was a fantastic £79! Madeline is in the same class as Cammie, Katie’s cousin. Many thanks to all who contributed – hope you had a great party. 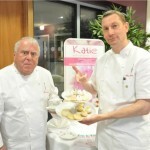 The Katie McKerracher Trust is a membership organisation limited by guarantee.